The obvious often escapes public recognition. By categorical definition, news media attract public interest with information or entertainment that draws readers, listeners and viewers, in order to sell products and services offered by sponsors. Somehow the public mistakenly believes news reporters are unbiased investigators operating in the public’s interest. In fact, they are front men for commercial entities. Consumers can’t imagine the whole American shopping experience inside grocery stores, viewing food ads on TV and going to doctors’ offices are orchestrated to promote over-consumption of processed foods that foments metabolic disease that in turn requires more drugs to be prescribed. Most anti-diabesity drugs (save for metformin) induce weight gain. 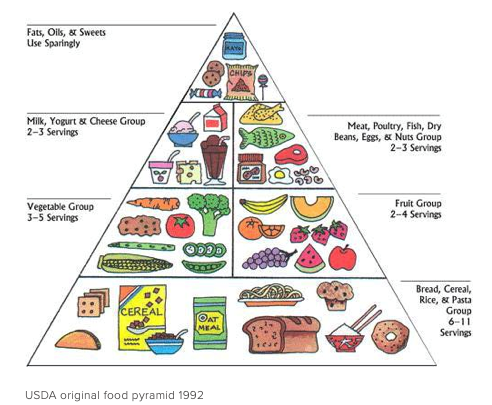 The news media in league with public health authorities promoted the diabesity epidemic by advising the public to base their diet on carbohydrates (bread, rice, pasta, refined grains and cereal) as presented in the infamous food pyramid. Grains were subsidized by the U.S. government and most were used to fatten animals for the feeding pen just prior to slaughter. No one connected the fact we were doing the same for humans. The essential fats and oils needed to quell hunger and produce hormones were feared and non-fat foods became the rage. When Americans were using lard and butter is when they were the leanest. Women’s waist size burgeoned from 27.5 inches in 1957 to 34 inches in 2017. The average size clothing for a woman today is size 14 versus size 10 in 1957. Add high fructose corn syrup to the equation beginning in the late 1970s which spawned an outbreak of vaginal yeast infections in women, and still nobody paid attention. 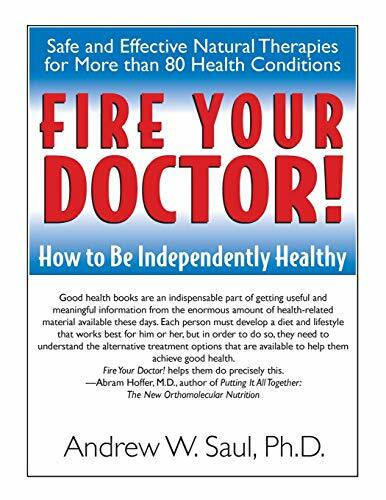 Fire Your Doctor! How ... Andrew Saul Best Price: $5.45 Buy New $12.31 (as of 06:45 EDT - Details) The abandonment of the 5-A-Day plan to eat five servings of fruits and vegetables daily promoted by public health agencies was not reported in the U.S. When it was realized 5 servings of plant foods a day did not lower mortality rates for cancer, this failure was announced in the British Medical Journal, not by U.S. news or medical sources. The most common “vegetable” consumed by Americans is ketchup which is laced with corn syrup sugar. Go figure. If you think your local grocery store isn’t a part of all this food corruption just take a look at all the shelf space devoted to potato chips and ice cream in the store. The American population is being herded like cattle. Food choices involve which brand of frozen pizza is the most tasty, not the most nutritious. One wonders just how much disease is naturally occurring and how much is actually fostered by advertising unhealthy foods (“bet you can’t eat just one” is the advertising slogan for one popular brands of potato chip). Many prepared foods are laced with brain rewarding molecules (example: Oreo cookies) that induce overeating and food addiction, and ads for these products are often the most widely advertised on TV. There are no ads for apples, grapes, fish, or nutrient dense foods. Packaged processed foods appear to be the modern thing. There is concern that government health agencies along with food companies and Big Pharma in league with the news media help keep Americans fat and sick. After all, there is a lot of money to be made by maintaining a level of disease in society. 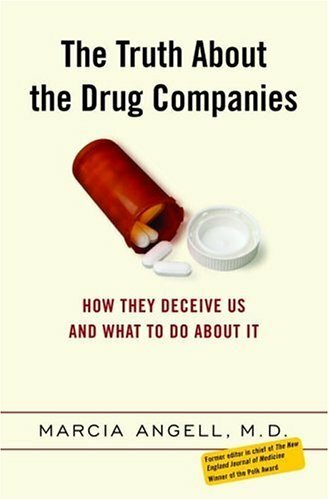 In our modern world, Big Pharma has bought off the evening TV news and has penetrated most news sources (even Prevention Magazine) with advertising that creates demand for expensive and problematic drugs that are not even as safe and effective as their older antecedents. As soon as patents wear off, the old reliable drugs are abandoned. About a third of new drugs are no better than older drugs and some are worse. One authoritative source claims 90% of FDA-approved drugs in the last 30 years are no more effective than existing drugs! Maybe better than placebo, but not better than older drugs whose patents have expired. Given that prescription drugs are the 4th leading cause of death and induce an estimated 80 million mild side effects a year, this is no trivial matter. The pharmaceutical industry, in league with the FDA, has spawned an epidemic of drug side effects larger than any actual prevailing disease. About 33% of consumers say they end up talking to doctors about medicines they saw advertised on TV. The pharmaceutical industry spent $3.7 billion on TV ads in 2018. If you can believe this, consumers are even invited to select their favorite drug ad on TV. Doctors don’t mind, TV advertising brings new patients to their offices. And to make matters worse, 98% of the ads that appear in medical journals promote prescription drugs. So medical journals are also captive to drug companies. Even though the biological action of most prescription drugs can be duplicated by vitamins, minerals, amino acids, oils and herbals, the doctor only puts his imprimatur on drugs which are designed to allay symptoms but not cure the disease. Virtually every human malady is addressed as if it were a drug deficiency. The lucrative pharmaceutical dispensing business is dependent upon health insurers covering the cost of drugs which are more affordable than dietary supplements which could serve as alternatives. Even economical nutraceuticals cost more in out-of-pocket costs than prescription drugs when insurance companies work in league with pharmaceutical companies to lower the co-payment to combat the so-called problem of non-compliance. The news media is quick to put dietary supplements in a bad light. News reports exaggerate published studies that showed dietary supplements induce side effects. “Study finds 275,000 calls to poison control centers for dietary supplement exposures.” However, that was for a 13-year period from 2000 to 2012. Consumers were exposed to but may not have experienced side effects from dietary supplements. What went unreported is that 70% of these exposures involved small children younger than six years old and had nothing to do with the products themselves. Over the past few years no deaths have been reported from use of dietary supplements by Poison Control Centers, which is something FDA-approved drugs cannot say. Furthermore, the study did not report on how many adult consumers may have misused (overdosed) on dietary supplements. Compare this to a report showing 107,000 deaths annually from properly-used, nurse-dispensed drugs in a hospital. This is akin to the entire city of Allentown, PA. being wiped out every year. How can unapproved dietary supplements be far safer than FDA-approved drugs? Yet time and again news reporters say dietary supplements are not FDA approved and are unproven and do “not prevent, treat or cure any disease,” the caveat the FDA requires on all dietary supplement labels. Yet if dietary supplements do in fact quell any disease, they would be categorically classified as drugs. So, they must remain unproven. Labels on dietary supplements are not allowed to say they are effective against any disease, even dietary deficiency diseases such as scurvy (vitamin C), pernicious anemia (vitamin B12), beriberi (vitamin B1 thiamin), all which are in resurgence today. At any given time millions Americans are deficient in vitamin C (particularly smokers), vitamin D, vitamin B12, vitamin B1 and magnesium, yet the symptoms of these deficiencies being treated with drugs, not the root cause addressed by vitamin supplementation. Nerve problems are treated with Neurontin, not vitamin B12. Muscle spasms are treated with Robaxin, not magnesium. Fluttering heart muscle (atrial fibrillation) in the top chambers of the heart are treated with Cordarone or Betapace, not zinc, magnesium and/or vitamin D. The medical industry is making tons of money off of inappropriately treated nutrient deficiencies. Some FDA-approved drugs are so bad and produce so many side effects, like statin cholesterol-lowering drugs, that up to 6 in 10 users abandon them within the first six months following initial prescription, which makes statin drugs falsely appear to be relatively safe even though they are marginally effective. The FDA can no longer be trusted to carry out its historic mission to protect the public from potentially harmful and ineffective drugs. Dietary supplements should not be regulated by the FDA that has conflicts in doing so. By drug companies paying user fees, essentially the FDA’s clients are pharmaceutical companies that the FDA relies upon for income. The FDA is a captured regulatory agency. Public Citizen calls FDA user fees bad medicine. Modern medicine expands treatment thresholds to pre-disease states that only lower numbers (like expansion of the number of patients who need to be treated with medicines for blood pressure or cholesterol). New diseases are also being born, like attention deficit disorder, what is called disease mongering. Many drugs never address the cause of a disease. Blood pressure drugs lower a number by slowing the heart rate (beta blockers), or inducing excretion of water (diuretics or so-called water pills), but these aren’t the primary causes of hypertension. There is no single drug that brings high blood pressure under control. One daily magnesium pill will do as well as any blood pressure medication. 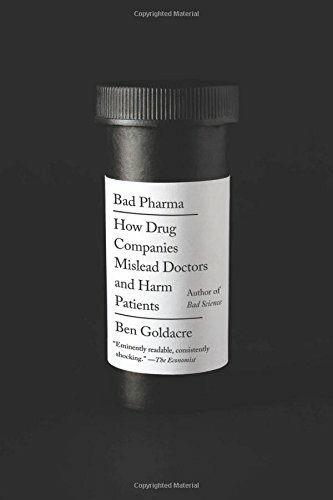 Doctors and pharmaceutical companies don’t make as much money curing or preventing disease as they do in ineffectively treating their symptoms, which requires repeated use of drugs. Public naivety and patients who are loyal to their doctors to a fault comprise some of the underlying factors that are part of this massive problem. Complain to Congress you say. It is bought off. A reported army of 1440 lobbyists for the pharmaceutical industry is in Washington DC. The pharmaceutical industry spend $280 million on lobbying Congress in 2018. That amounts to a half-million dollars per member of Congress. 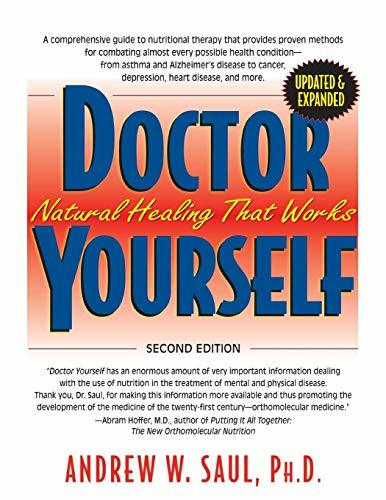 The Truth About the Dr... Marcia Angell Check Amazon for Pricing. Congress will grandstand public hearings and invoke meaningless multi-million-dollar fines against offending drug companies that made billions in their fraud. These well-advertised fines are just to get government off the hook. Regulatory agencies and drug companies are winking at each other. And only the U.S. allows drug companies to charge what they like and raise prices annually without regard for value. America is bought off at every level: government, news media, medical journals, doctors. And yet people plead for more of the same. We now hear the call for “Medicare for all” as we slide into the alligator pit we call modern medicine. Want to get well? Turn off the television set. Go for a midday walk and get some sunshine vitamin D. Buy fresh foods at farmer’s markets. Throw your drugs out the window and those tin foil TV dinners too! Familiarize yourself with vitamin and dietary supplements. Fire your doctor. Find natural alternatives to drugs. Don’t be so gullible (gullible is derived from the verb “to swallow”). Certainly modern medicine is the most bitter pill to swallow. Here are the words used to describe people who are easily tricked: dupe, sucker, chump, sap, sitting duck. Don’t be any of these. Oh, I can hear you now. “But my doctor is a Mayo Clinic trained physician and he said if I stop taking these pills…… ” Lordy. Modern medicine spreads fear, which overcomes reason. It is their tactic. If you haven’t the nerve to do this, what more evidence do you need? Bill Sardi [send him mail] is a frequent writer on health and political topics. His health writings can be found at www.knowledgeofhealth.com, billsardiblog.com and resveratrolnews.com. Copyright © 2019 Bill Sardi, writing from La Verne, California. This article has been written exclusively for www.LewRockwell.com and other parties who wish to refer to it should link rather than post at other URLs. Why aren’t hate hoaxes considered hate crimes?